Renew their faith in your brand year after year! Stapled monthly calendar features full-color wildlife photography and inspirational Bible passages. Back of the calendar includes space for emergency contacts and other important information. 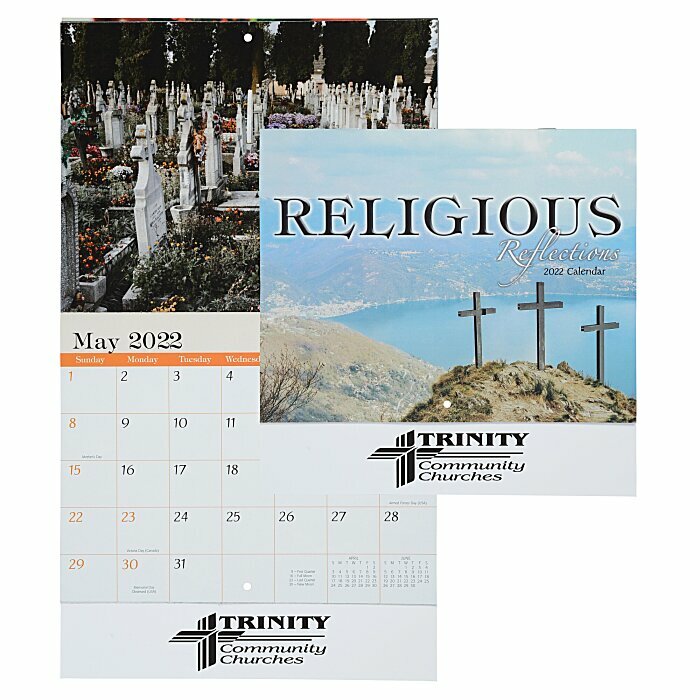 Durable calendar constructed with 60# gloss paper and a UV-coated cover. For spiral-bound Religious Reflections calendar, see item #100894-SPReligious Reflections Calendar - Spiral.